Tamara McCleary is the CEO of Thulium, a marketing and digital consulting agency specialising in social media brand amplification, influencer marketing, and thought leadership. 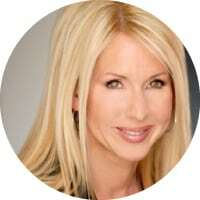 As an internationally recognised expert in new technologies, branding, storytelling, and social influence,Tamara McCleary is the world’s leading female technology influencer, at or near the top of every digital and social media ranking. In addition, Tamara was named the Most Influential Woman in Martech by B2B Marketing. Tamara is also a unique advisor and consultant to a variety of leading global technology companies such as Verizon, IBM, Mercer, SAP, Dell EMC, Huawei, Ericsson, and AWS. Her reputation for creating powerful digital brand recognition is unparalleled. My interest started years ago in the early 1990’s, (when AI wasn’t quite the buzzword it is today), while doing cancer research in molecular physiology. We were light-years behind where the field of artificial intelligence is today, and much of what we had to isolate, track and calculate were left to very slow and laborious human programmer processes. Today I am involved in AI through using advanced technology within our organization to support B2B and Enterprise achieve more efficient marketing on social media channels. I also travel globally speaking on the topic innovative technologies as a keynote speaker, panelist, and moderator of expert panels. As an insatiable and voracious reader, (and writer), of all things AI, anything from neural networks, and the phenomenon of unsupervised learning, to the future convergence of humans and machines, I am living into a constant state of wonder and amazement. I’m also steeped in AI technologies to keep up with my science fiction writing, as I am in the midst of writing a sci-fi thriller set in the very near future. Honestly I do put my AI money where my mouth is. I not only use it daily in our marketing agency, thulium.co, but I personally live with AI. From my smart bed to my refrigerator, to my thermostat to the car I drive daily in autonomous mode, (I am in-compliance as I keep my hands on the steering wheel…but the car has complete control). I do not consider myself an expert in AI, but rather, a perpetual-student filled with an inquisitiveness and unquenchable curiosity about all the things we can and will do harnessing the power of artificial intelligence. I am most interested in augmenting and supporting the betterment of human life. AI’s application in healthcare to earlier diagnoses and more effective and personalized treatment modalities…and even better, preventing or averting disease entirely. Within the field of artificial intelligence I am most drawn to machine learning, specifically unsupervised learning. Also, natural-language-processing, and affective computing, (the ability to simulate human affects.) I’m most passionate about the application of these to the future of our day-to-day living, our work, including industrial applications, energy and utilities, (Smart Grid), marketing and advertising for the future, urban transportation initiatives, and Smart Cities Solutions, IoT, (only AI will be able to make sense of all the data coming in from our connected world). Of course I’m wildly passionate about studying, and discussing, our co-existence with AI, and all the ethical considerations. I can’t think of juicier topics to ponder and mentally unwrap than the known and unknown ramifications of AI including the social, political, spiritual, human-health and longevity, consequences surrounding our inevitable convergence with machines. As a futurist, I am awe-struck by what a succulent time in history it is to be alive! There are so many who have influenced and are influencing me. Some academic, some poetic, and all innovators existing in-betwinx. I believe that AI is the dance between art and science. To do incredible things in this space takes the ability to see beyond the periphery, piercing the veil between what has been and has yet to be conceived. I’ve always admired and been inspired by the late Nikola Tesla, Alvin Toffler, Alan Turing, and absolutely, Gene Roddenberry. Of course Elon Musk inspires the heck out of me on multiple levels, he’s a rare visionary CEO that not only sees beyond the periphery, but I dare say he can see through walls. I admire him enough to get behind the wheel of Tesla’s ModelX daily. I also avidly follow, read and deeply appreciate and admire the contributions of, (I swear I am not stalking), Bruce Sterling, Fei-Fei Li, Cynthia Breazeal, Michio Kaku, Rana el Kaliouby, Anne Lise Kjaer, Hua Wu, Angelica Lim, Yoshua Bengio, Yann LeCunn, Demis Hassabis, Geoffrey Hinton, Ray Kurzweil, Thomas Frey, James Canton, Amy Webb, George Dvorsky, and Andy Hines. Of course my shelves are full of gorgeous writings to be sipped and savored frequently to keep centered in the midst of our uncentered existence, where overwhelm has become the norm. I am forever influenced by the likes of Plato, Aristotle, Socrates, Kant, Nietzsche,and the late Simone Beauvoir (philosopher & feminist), and Ludwig Wittgenstein, (philosopher logic, mathematics, language ), Rumi, (poet), Carl Jung, (psychoogy), Khalil Gibran, (spirituality), Ramana Maharshi, (spirituality), Dalai Lama, (spirituality), Paramahansa Yogananda, (spirituality), Pema Chodron, (spirituality), and The Bhagavad Gita, (the most astounding spiritual business primer). As much as I love artificial intelligence, and casting a knowing glance toward the future, I feel the deepest wisdom of the past provides a lamp unto our feet as we navigate the shadows of the unknowable. WHICH BRANDS OR PRODUCTS STAND OUT FOR YOU IN ARTIFICIAL INTELLIGENCE? Tesla, Amazon, Apple, Verizon, Huawei, Microsoft, Facebook, Twitter, Google, Intel, IBM, SAP, Salesforce, Banjo, Jibo, Affectiva, Baidu, Shell, Spotify, Skype, Uber, Ford Motor, Argo AI, Samsung, Nokia, Oracle, eBay, AOL, Yahoo, Hitachi, Jaguar, GE. Hosting or participating in podcasts, webinars, white papers, speaking opportunities, brand ambassador attending live events and engaged in on-the-ground real-time amplification, live streaming video, moderating expert panels, writing guest influencer blog posts, increasing engagement through driving relevant conversations across social channels, and increasing brand awareness through establishing thought leadership for the brand. The best way to contact me is via LinkedIn, Twitter, or reach me through my company website.